AFRICAN AMERICAN REPORTS: Hampton headed back to NCAA Tournament. Hampton headed back to NCAA Tournament. 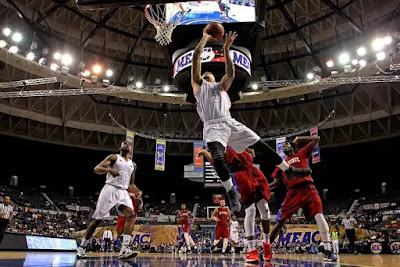 Led by Brain Darden's with 22 points, and Reginald Johnson Jr's 21 points, the Hampton pirates defeated South Carolina State and is the MEAC champion once again. . The Hampton Pirates are now headed to the NCAA Tournament for the second straight year. Congrats to the Hampton Pirates on their tournament berth, and to South Carolina State Bulldogs for a great season.